Let the countdown 'til Christmas continue with DAY 21! 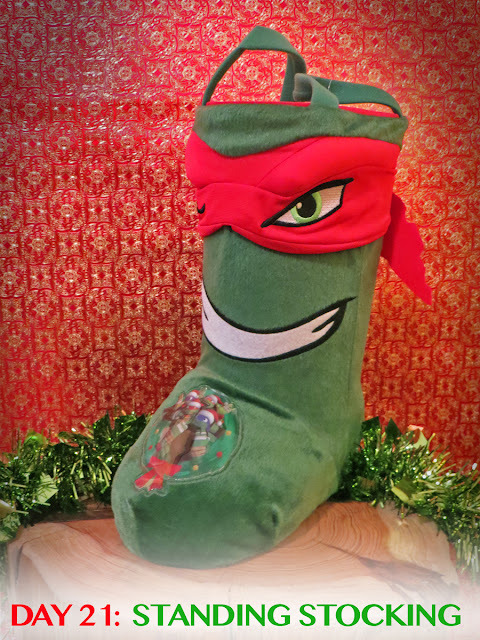 It's merry, it's mutant - it's the Standup Stocking Boot! What? You've never heard of a Standup Stocking Boot? It's the new, hip thing this season. All the Santas are doing it. Win the holidays with the Standup Stocking Boot! Okay. I'll dial down the promo pitch. Real talk - this thing is a festive freak of the holiday season. And I love it. Whatever wacky elf crafted this monstrosity deserves an award. 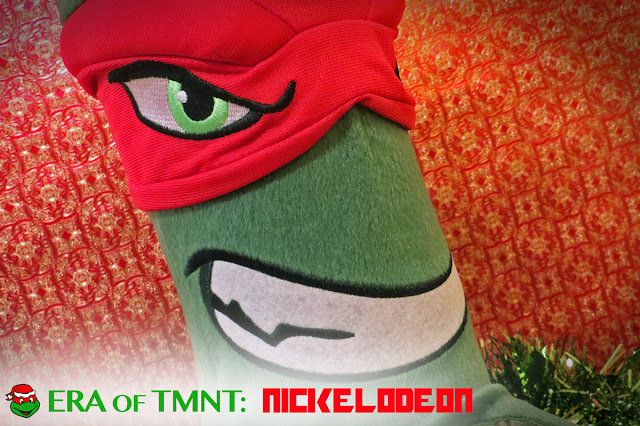 It's truly unique - nothing in the world of TMNT holiday merchandise can compare. The free standing, 13-inch high stocking is a mutant. Half stocking, half boot, it's a visual gag that spreads holiday cheer wherever it lands. You really can't help but laugh at its stupidity. Fill it with stocking stuffers, toys, Christmas dinner leftovers - the choice is yours. I personally want to sip egg nog from this thing. The standout stocking looks like a ridiculous idea from the 80s, but is a recent creation from the Nickelodeon series. People poke fun of products from the 80s & 90s, but with items like this available in 2015, it really makes you wonder if we've progressed at all as a society. Marvel at the wonders of your iPhones, but never forget there's the standup stocking to level the playing field. Does the standup stocking make a good gift? With its laughable shape, just wrapping the standup stocking will be loads of fun. This thing gets The Sewer Den stamp of silly approval! 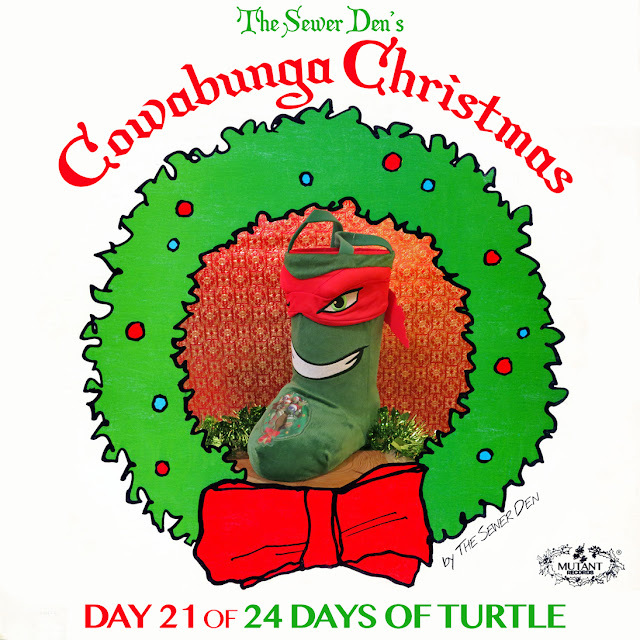 Check back tomorrow for DAY 22 of Cowabunga Christmas! Can't wait until then? Take a trip with the Ghost from Christmas Past to see what The Sewer Den put on display on December 21st in 2013 and 2014.